Honda CB Shine an upgraded version of Shine giving greater performance, more stability and good mileage than its previous model. Explore the review to check the features, technical specifications & price in India. 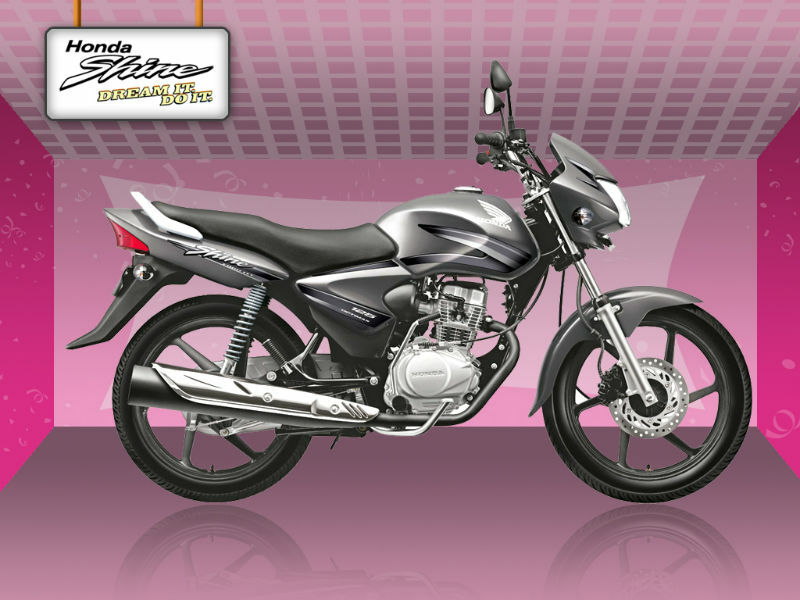 Honda CB Shine fulfills the dream of every rider because of its greater performance, more stability and good mileage. The CB Shine is the upgraded version of Shine with the better engine and quality design. CB Shine is very well accepted by professionals because of its smooth engine, less maintenance and very appealing design. This vehicle is also appreciated for its greater pickup which is one of the main points for city use. 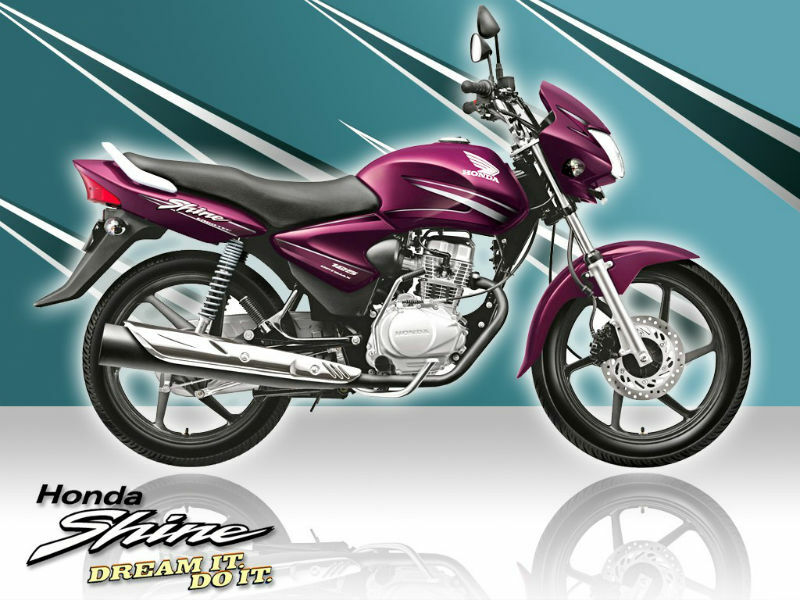 Because of all the previously mentioned point Honda CB Shine has been received very well in the market. Honda CB Shine bike enjoys greater performance with its 4 stroke, air cooled SI engine which provides the displacement of 124.7 cc. The maximum power delivered by the engine is 7.55 kW at 7500 rpm and the maximum torque produced is 10.54 Nm at 5500 rpm. Shine is a well designed vehicle with attractive diamond frame and double suspension. The diamond frame design of the vehicle has become very popular as it helps to distribute the load evenly and thereby helping to maintain the stability of the vehicle. Further the erogotech design of the bike guarantees trouble free riding and better handling. The light weight material used to design the body is one of the main reasons for optimum mileage. This is a perfect vehicle best suited for Indian roads and with good mileage. Although the vehicle is packed with light weight body it is very well structured thereby adding to greater stability. The tubeless tyre provided in the bike is other noted advantage in riding as it reduces the possibility of flat tires. Honda CB Shine gives superb mileage of about 60-65 kmpl. 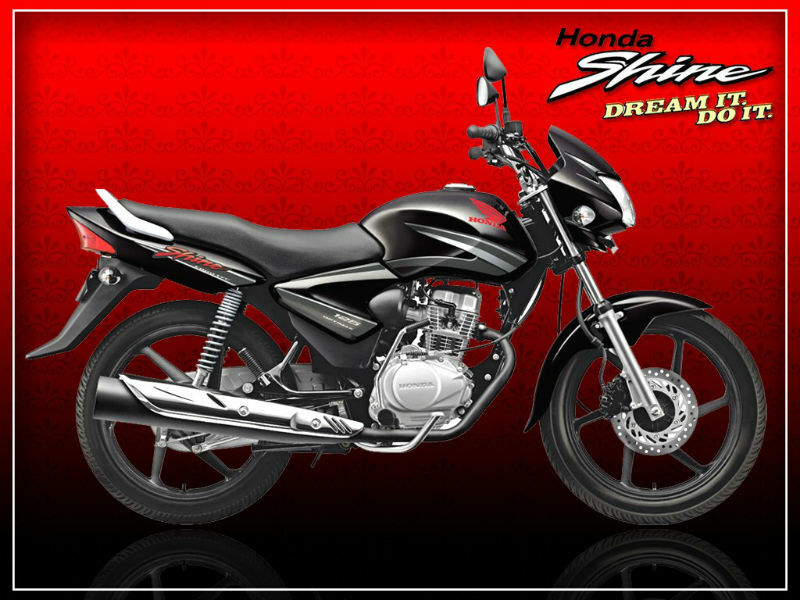 The price of Honda CB Shine varies between Rs 53,000 to Rs 65,000. The bike is available three different designs which include Honda CB Shine, Honda CB Shine Self Drum and Honda CB Shine Self Disc available in different color patterns namely force silver metallic, black, geny grey metallic, rebel red metallic, monsoon grey metallic.